I often think of this corner as one of the world’s most important crossroads. It’s here, just after 5pm, that the corner floods with people zipping around with boxes of goods that have been packaged and sold. They’ll go from here to every corner of the world: phones, tablets, hard disks, fidget spinners. Two scales of shipping with ease: the global and the local. Global services like FedEx, Aramex and DHL, with export logistics attached. 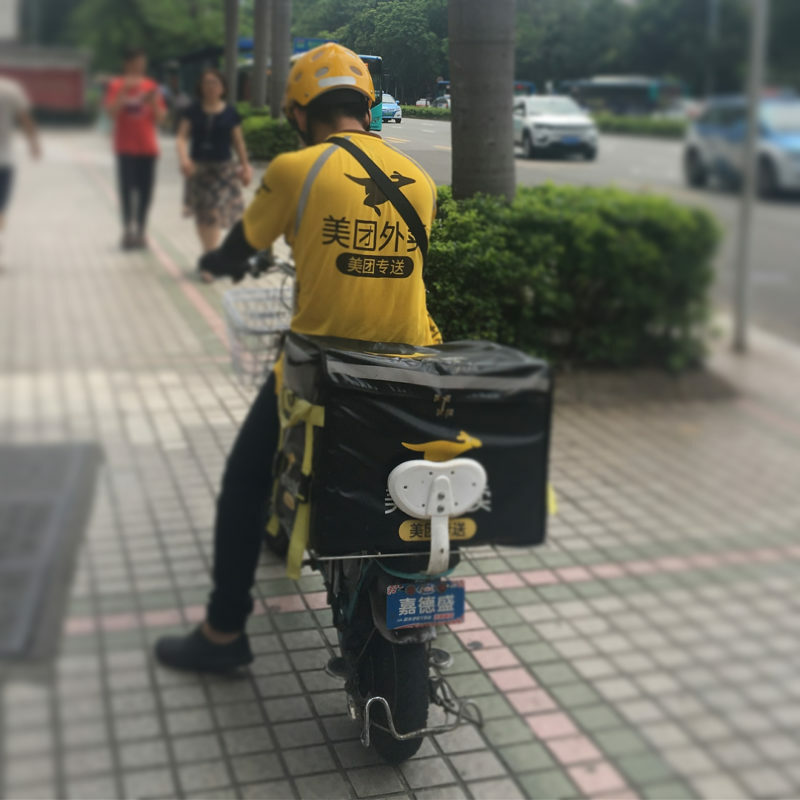 Local services like Meituan Waimai for quick food and object delivery. Thanks to doing this most recent Shenzhen visit with @studiodradiodurans, this trip got me thinking a lot about what a flexible component ecosystem really allows for. I’m used to this concept in software and media but have a more detailed sense of it now with hardware. It’s easy to see the hover board, largely a toy, as a phenomenon separate from the electric scooters, which are now the foundation for multimillion dollar companies. 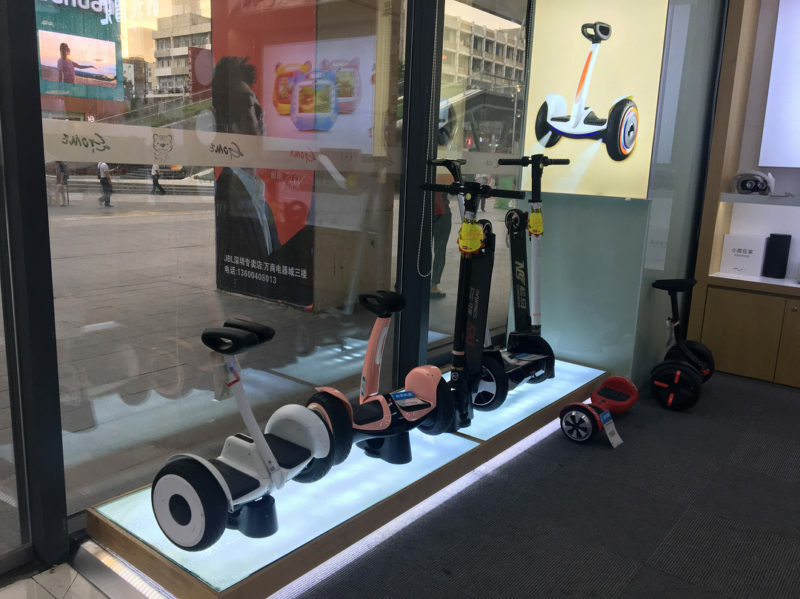 But they are part of a continuum of different personal transport devices available in the markets of Huaqiangbei and more flashy shops like the Xiaomi store. The same ecosystem that gave us the hoverboard is giving us truly viable last-mile transit options tested and refined in one of the world’s largest cities. Recently, someone told me, with all sincerity, that I have a mutant superpower: I can walk through walls. The walls in this case are real, literal, physical ones, the kinds of walls erected between borders. They are almost always designed to keep people on one side from being able to cross to the other, and they are enforced by systems of violence. The superpower of walking through walls in one that only a few are born with and even fewer have the resources to realize in practice. It is a superpower I exercise almost constantly. While I was in Shenzhen, media coverage of border enforcement in the US hit a peak, with stories of migrant children separated from their parents circulating widely. I began reflecting on the fact that these little objects I was studying can travel around the world with greater ease than most human beings. They travel further and farther than the people who make them, almost as broadly as the data packets that transmit this message right now. But the people who make them have also had extraordinary journeys, often traveling miles and miles from their homes to live out the “Shenzhen Dream.” They, too, have had to walk through many walls, overcoming internal regulations and financial barriers while often leaving behind family and familiarity. 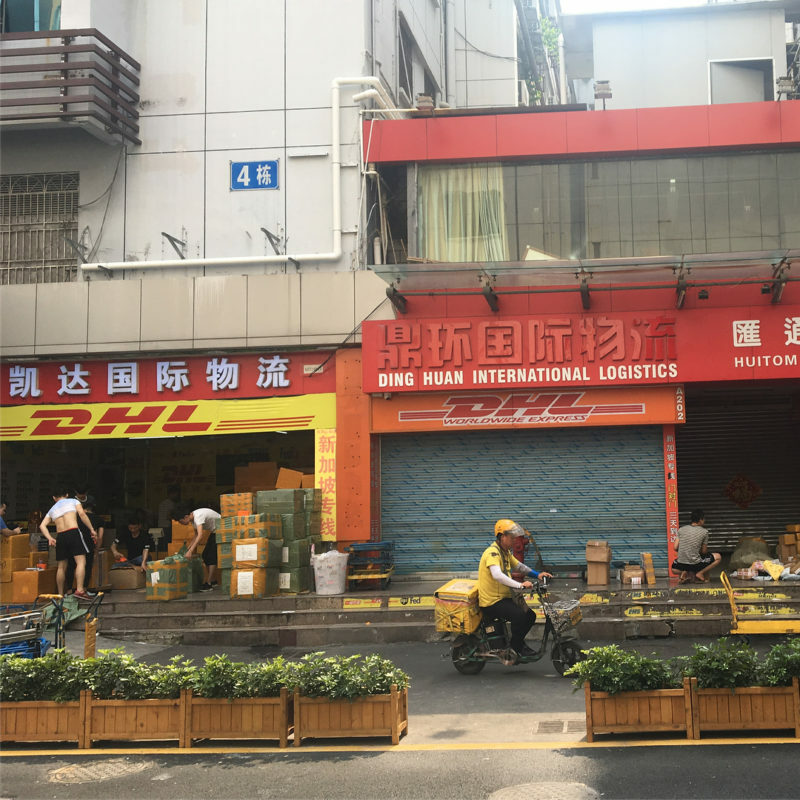 As Shenzhen forms its identity, it feels to me like a microcosm of the larger world, a story of a city trying to define itself amidst a dizzying, confusing world. A city of vast inequality and both internal migration and a flow of people from the outside world. A city of where heartbreak and high hopes intermingle and intertwine. What does it mean to walk through walls? What are the responsibilities that come with this superpower? The more I travel the more I see this: products and data packets moving and shifting through customs barriers and firewalls and reaching the markets, shops and bodegas of pretty much every continent. Meanwhile, nations the world over are building walls and policies to keep people out and fence people in. Through the lens of capital, globalization is succeeding wildly. Through the lens of compassion, the failures are too numerous to count.